Benefits of Microneedling with PRP - Doctor Hermann M.D.,P.A. What damage shows on the surface of your skin? Do you have acne scars that never faded, or wrinkles that age you a few years? Whatever skin imperfection you’re tired of seeing, microneedling with PRP can make them disappear. Microneedling with PRP is a powerful treatment that resurfaces the skin by triggering accelerated healing. Here’s what you should know about preparing for your own Eclipse Micro-Needling skin resurfacing treatment in the New Year. Though you can’t even feel the injuries that microneedling creates, those injuries immediately initiate collagen and elastin synthesis that make it possible for the skin tissue to regenerate and heal. Everything from skin tone and texture to wrinkles and pitted acne scars can be treated with microneedling. Microneedling alone is a powerful treatment, but adding PRP makes it possible to achieve even more dramatic and long-lasting results. Platelet rich plasma is composed of nothing but your own blood’s concentrated platelets with a small amount of plasma. Since platelets are very rich in growth factors that help to stimulate new cell and collagen growth, they can be injected into virtually any site of injury to trigger healing that normally wouldn’t occur. If you’re tired of seeing dull, damaged, and discolored skin in the mirror, microneedling (with PRP!) is your one-stop solution. 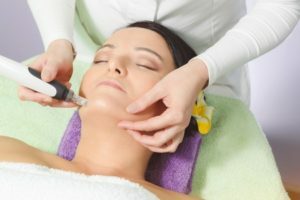 In addition to the skin on your face, microneedling can even be used on your neck, decollete, hands, abdomen, and other places of the body in desperate need of rejuvenation. You will notice an immediate “glow” to your skin after your microneedling appointment at Hermann Wellness, and results will continue to improve over six months. Call Dr. Hermann now at (727) 278-3992 to schedule a series of two to three treatments for maximum results.